Um, Um -- just absolutely gorgeous. So elegant. Love all the pretty flowers and trim. WOW!!!!! Glenda loved this BIG TIME I'm sure!!!!! gorgeous! love the use of the trim! I always love your style! OH MY GOSH Bobbie, this is downright gorgeous. Love how you framed the image. Really makes it pop. Love the doily the flowers and the bits of gauze sticking out. 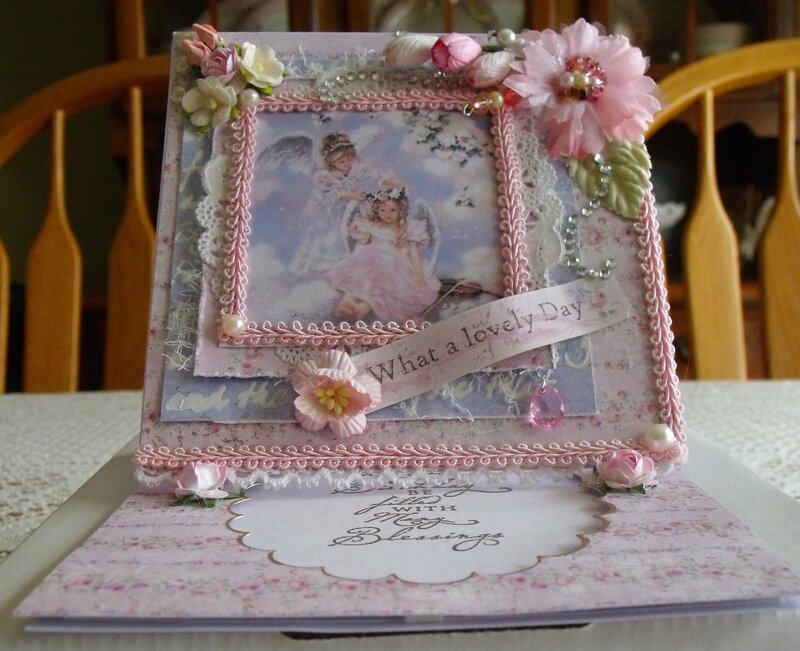 Gorgeous easel card, Bobbie! She'll love it!